If ever there is an unfortunate place for electric power to go out, it’s at a biomedical and biodefense research company. But that is what happened to The McConnell Group on a regular basis during thunderstorms, and, because they had no backup generator, the computer network could be down for days at a time. For its federal customers and commercial facilities around the country that relied on its research services, the situation was intolerable. But that wasn’t the firm’s only challenge. The McConnell Group was also running many different types of computers and operating systems. And because most of its machines were older, the firm was pouring more and more resources into maintenance. After conducting a thorough assessment, Vantage Point Solutions Group determined that off-site servers in a co-location datacenter would provide the assurance The McConnell Group needed. Having the backup systems, remote access, and service-level agreements at an off-site location would give the firm attractive options if the power were to fail. Vantage Point migrated the network to the off-site datacenter and procured new HP machines with newer operating systems to standardize the network. Built with flexibility in mind, the Vantage Point plan allowed The McConnell Group to keep and update some of their existing Dell machines, providing them with a return on prior investments. In addition, Vantage Point upgraded key software applications, including Microsoft Dynamics Navision, which The McConnell Group uses for customer relationship management and accounting. 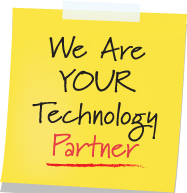 Vantage Point continues to serve as The McConnell Group’s managed IT services provider. We proactively monitor the networks and provide help desk services as needed. As new projects arise, we will be on the frontlines of The McConnell Group’s IT infrastructure planning.